Getting my boulder on at PRG Oaks! Whether we like it or not, rock climbing is a seasonal sport for most of us. Climbers spend spring, summer and autumn playing outside, but when the snow comes, it's either time to transition to ice (yay! ), move to a warmer climate, or begin a winter training regimen to get in shape for the next outdoor adventure. When it comes to training, President of Philadelphia Rock Gyms Dave Rowland believes there's a lot of "folklore," some of which is helpful, and some of which just isn't. In the most recent PRG newsletter, Dave shared a number of great winter training do's and don'ts that, thanks to permission from PRG, I'm excited to share with you! Do: Climb Your Hardest at the Beginning of Your Workout. For many of us, fall and winter are bouldering season, the time of year where we focus on short, hard problems meant to maximize our power. What many climbers don't realize, however, is how important climbing technique is to generating and training maximum power. If you are tired when you do your most strenuous climbing, you will have a tendency to climb sloppy. This interferes with the development of your power, and increases your risk of injury. After a good warm up, I recommend you stage your climbing: the hardest stuff first (hard projects, single-move problems, campussing, etc), then laps or power endurance (i.e. problems you have rehearsed), and finally the "pump out" if necessary. Follow all this up with a good warm down and you will feel good the next time you train! Don't: Finish on the Campus Board. Many boulderers gravitate toward the campus board as a good way to finish off a workout with a bang. And, while campussing can be very useful, the reality is it is a style of training which is very intense, putting a tremendous physical strain on the body. As I discuss above, the best strategy for workouts is to do your hardest climbing at the beginning after a warm up. Due to the highly intense nature of campusing, it really should be done at the beginning of a workout , not at the end. As romantic as training until you can't hold on anymore can be, the evidence is that climbers will gain more strength, endurance and power from successfully complete climbs near their limit than falling all over climbs that are above their limit. In training terms this means that when trying to gain endurance or strength, it is better to repeat problems you know well (and send them), than it is to exclusively throw yourself at projects all night. When trying to increase my strength, for instance, I climb problems that I know I can send at least 2 times in a row. Using a set of 3 as my benchmark, I repeat the problems at grades where I can definitely send the problem the first time, probably the second, and I fall with 3-4 holds of the finish on the third rep. If I fall lower or more often, I look for something easier. Don't: Climb Until You "Fail." Projecting and falling have their place in climbing, without a doubt. But when trying to increase your strength or endurance, the habit of climbing sets of problems until you are so pumped you cannot even close your hands is counter-productive. In fact, it is one of the best ways I can think of to cause finger injuries and other repetitive stress injuries. The sets I am referring to have a number of variations, but they usually end up with a climber simply staying on the wall as long as they can possibly hold on--usually running laps until they fall because of a wicked pump. For bouldering this sort of training is pointless at best. 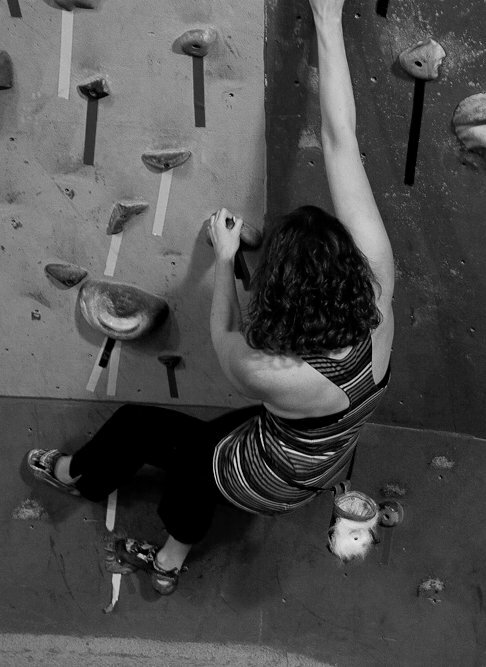 For routes, it encourages sloppy climbing and repetitive stress on joints and tendons. Avoid these sets...your body will thank you. Do: Warm Up and Warm Down! Almost enough said! Most of us do a poor warm up and no warm down...then we wonder why we feel sore at our next workout! The reality is a good warm up will take 10-20 minutes, minimum. And, without it we risk injury as well as lower gains from our training. And, the risks go up as you get older, climbers! As for warming down, I always remember what my gym teacher used to tell me after a run...walk it off! A 10 minute easy set at the end of your climbing workouts helps get blood into the muscles and speeds the recovery process. This is a must if you want to get the most out of each session. Don't: Forget to Have Fun! I am a climber because I love to climb! I make it a point to find time in each training session to do some climbing just for fun. Sometimes this means working on my favorite project, sometimes playing a training game with a partner, sometimes it means taking a whole session just to climb easy, ego-boosting problems just because I can. Whatever your goals, don't forget the reason you are in this sport...because its fun! Take time each session to remind yourself how much you enjoy this sport and you will always get the most out of your training! 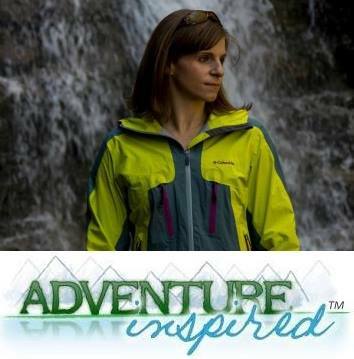 Huge thanks to Dave and the Philadelphia Rock Gyms for this great information, and for sharing it with Adventure-Inspired. Do you have tips or tricks you use for winter climbing training? Leave a comment! Good tips here. Lots of climbers get injured in the gym because they keep pushing. Following advice like this will prevent injury. I think I need to warm down when I go to the gym. I follow most of these guidelines except that one. I usually pump out then just stretch. Great write-up, Katie. I am going to start incorporating some of this into my own training. Thanks!